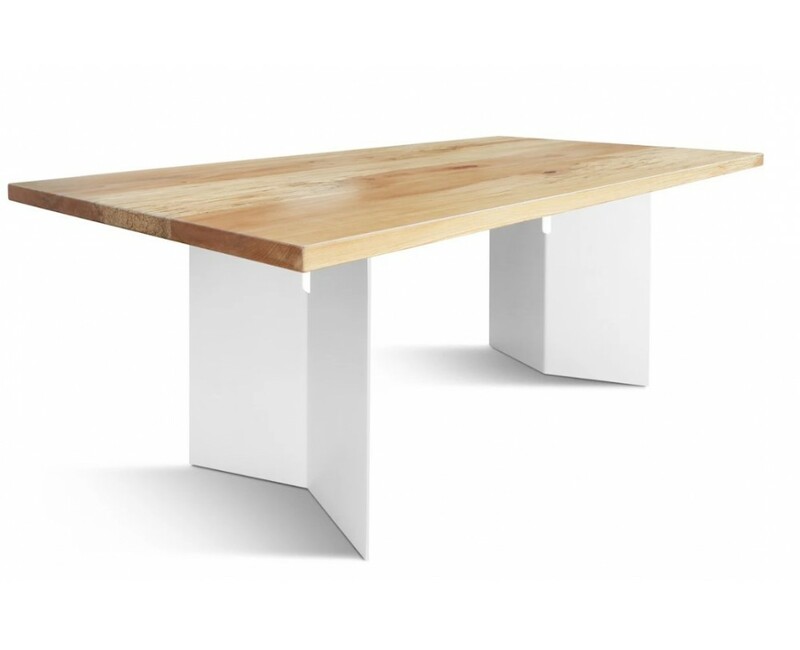 Airy and modern, AIWE dining table is a perfect choice for a contemporary decorated abode. We combined warm natural wood and metal to create a striking yet comfortable piece that you’ll enjoy for years to come. Solid beech wood table top is handcrafted to highlight the natural character and beauty of the material. You will find unique texture and color variations in every piece, which make it one of a kind. AIWE table top is finished with oil to showcase natural wood grain and to protect from stains and liquids. The edges are slightly distressed for a casual cozy look of the table. Metal V-shaped architectural table legs are extremely strong and light. Coated in white protective paint to avoid oxidation and to complement modern feel of the table.